The brilliant colors and precise detailing of our bountiful crop of felt veggies are so realistic, they almost look good enough to eat. 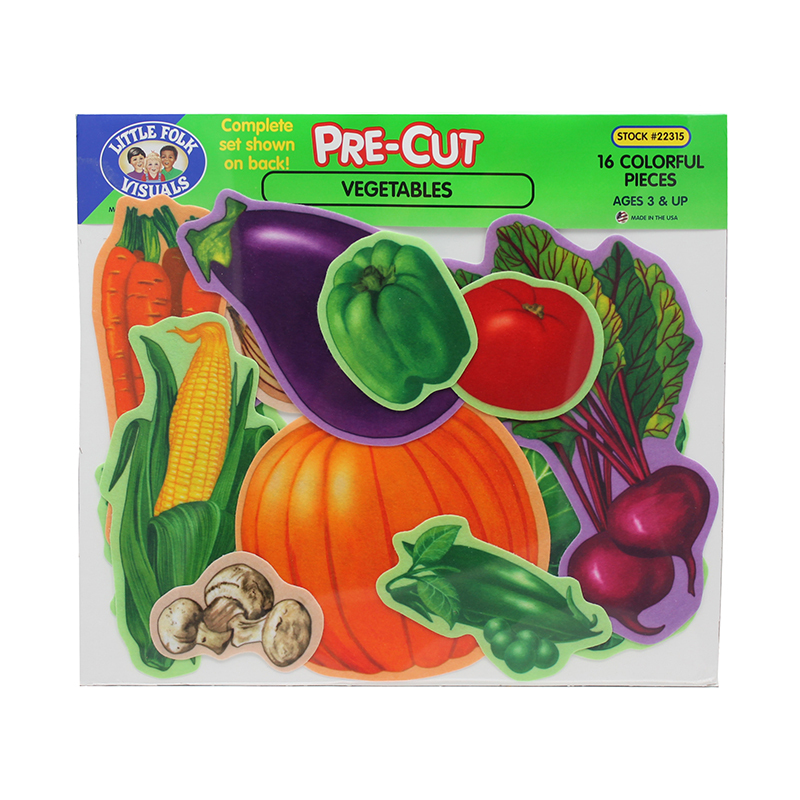 A perfect way to teach young children the nutritional values of vegetables while spending quality time creating dazzling visuals. 16 pieces, 2" to 11 1/2" tall.